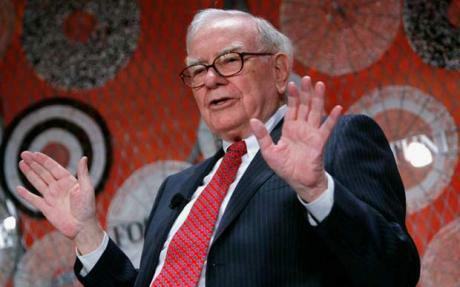 Warren Buffett’s leadership over nearly five decades has resulted in an unparalleled track record and thousands of loyal shareholders, many of whom have invested in the company mainly due to Mr. Buffett’s presence. Succession planning in a situation where the manager is clearly irreplaceable is obviously an unenviable task for board members. There is a widespread perception that Berkshire’s succession planning is unclear or non-existent. However, a look at the actual facts show that we do know quite a bit regarding Berkshire’s succession planning. In this article, we will attempt to outline what we know as well as what we do not know based on publicly available statements and facts. While it is possible that certain individuals currently speculating about succession issues may have information from insiders, Berkshire’s board is comprised of individuals who are very unlikely to “leak” confidential information. Also, the idea that Berkshire floats “trial balloons” to the media to gauge public reaction seems entirely unsupported by the company’s track record. When Will Warren Buffett Retire? From countless public statements, we know that Warren Buffett has no intention of retiring in order to pursue other activities and will only step down if health problems prevent him from executing his responsibilities in an effective manner. Anyone who claims that Mr. Buffett may want to retire at some point to pursue a job in government or pursue other business ventures is not basing the assertion on any known facts. Obviously, we do not know exactly when Mr. Buffett will have to step down. We can look at actuarial tables and try to make projections, but this ghoulish effort is not likely to yield any certainty. It seems more likely than not that Mr. Buffett will run Berkshire for at least five years, possible that he may be running the company in ten years, but very unlikely that he will still be at the helm in twenty years. Attempting to make a more precise projection is pointless. How Will Berkshire Structure Top Management After Buffett? Mr. Buffett has stated that he hopes the board will select his son, Howard Buffett, to serve as non-executive chairman. Howard Buffett’s background is described in Berkshire’s proxy statement and other biographical sources. He is 55 years old and has been a Director at Berkshire since 1993. We know that Howard has experience mainly in agricultural businesses and has served on other boards in the past. His presence on the board will be to preserve Berkshire’s unique culture rather than to actively play a role in running the business. As an aside, we also know that Bill Gates has made a lifetime pledge to remain on Berkshire’s board and it seems likely that he could serve as a future chairman if the need arises. As I have told you before, we have for some time been well-prepared for CEO succession because we have three outstanding internal candidates. The board knows exactly whom it would pick if I were to become unavailable, either because of death or diminishing abilities. And that would still leave the board with two backups. This is exactly the same statement that has been made several times over the past few years and the board apparently discusses the candidates and the front runner at each board meeting. Obviously, we do not know who the front runner is. This has not stopped outside observers (including The Rational Walk) from speculating regarding who the front runner might be, but ultimately those who attempt to make predictions can only make educated guesses. This is particularly true because the actual time of succession is unknown. The candidate pool can change as individuals get older, new managers are added to Berkshire, and existing candidates take actions to either solidify or erode their candidacy. For example, most Berkshire analysts consider Burlington Northern CEO Matthew Rose to be a potential successor now that Berkshire has acquired the railroad. When Mr. Buffett wrote his 2007 letter, Mr. Rose would not have been a candidate. Similarly, until Richard Santulli’s resignation from NetJets in August 2009, most observers thought he was a strong candidate. Currently, David Sokol seems to be the front runner for the job based on the opinion of many Berkshire analysts, but this could also change in the future and ultimately those of us who make these projections are only making educated guesses. Obviously, naming a specific candidate today would serve no useful purpose for Berkshire given that Mr. Buffett does not intend to leave anytime soon and the criteria for making the decision will shift over time. Last year I told you that we would also promptly complete a succession plan for the investment job at Berkshire, and we have indeed now identified four candidates who could succeed me in managing investments. All manage substantial sums currently, and all have indicated a strong interest in coming to Berkshire if called. The board knows the strengths of the four and would expect to hire one or more if the need arises. The candidates are young to middle-aged, well-to-do to rich, and all wish to work for Berkshire for reasons that go beyond compensation. This week, Todd Combs was hired to manage a “substantial portion” of Berkshire’s investment portfolio but he was not hired to serve in the role of Chief Investment Officer. Mr. Buffett, in response to questions regarding Mr. Combs, told reporters that he would remain in the investment role as long as he is at Berkshire. However, we can infer that Mr. Combs is a leading candidate to be promoted to Chief Investment Officer in the future since he is the only investment manager to be named up to this point. We also know that Li Lu is not interested in an investment role with Berkshire at the current time. Here, we have a legitimate mystery regarding what took place since late July when Berkshire Vice Chairman Charlie Munger said that Li Lu’s future role at Berkshire was a “foregone conclusion“. Based on Mr. Buffett’s statement, Li Lu is happy managing his current partnership and not interested in the job at Berkshire. Also, there was one other candidate who remains unnamed who also turned down the job. What happened to the four candidates who Mr. Buffett referred to in his 2007 letter to shareholders? Are these individuals no longer interested and is Mr. Combs the only candidate for Chief Investment Officer at this time? We simply do not know the answer at this point. Mr. Combs is the most likely candidate, but by no means a shoe in for the job. As an aside, we also know that Mr. Combs is not a candidate for Chief Executive Officer despite the many uninformed (and, at times, amusing) articles claiming that he would be taking over as Mr. Buffett’s replacement. Mr. Combs, if he ends up serving as Chief Investment Officer, will report to the next CEO of Berkshire. The next CEO of Berkshire Hathaway will be ultimately responsible for the operations of the overall company which includes the allocation of capital within and across subsidiaries. Although Mr. Buffett is not involved in the day-to-day operations of each Berkshire subsidiary, he is involved in all capital allocation decisions. This means that when subsidiaries have available free cash flow (funds available after necessary reinvestment in “maintenance capex), Mr. Buffett evaluates investment opportunities within the subsidiary and compares these investment prospects with opportunities available in other Berkshire subsidiaries, potential acquisition of new subsidiaries, or investments in marketable securities. Based on Mr. Buffett’s statements, the next CEO will retain his approach as a capital allocator within and between subsidiaries and will make decisions regarding acquisition of new wholly owned subsidiaries. The portion of funds available for investment in marketable securities will be turned over to the Chief Investment Officer who will oversee the investment of the funds in consultation with the CEO. Mr. Buffett cannot be replaced and his role will be divided between three individuals in the future. We do not know the identity of the future CEO, but there is a strong likelihood that the future Chairman will be Howard Buffett. We can infer that Todd Combs is one of the most likely individuals to take over as Chief Investment Officer, but this is not assured at this time. The question of whether Berkshire should be more open regarding succession planning is a legitimate one to raise, but there are no easy solutions. Naming a new CEO prematurely serves no useful purpose since the best candidate could change over time and it would hurt shareholders to “lock in” a candidate well ahead of time. It seems like naming at least one or two additional investment managers would add confidence to the process of selecting the new Chief Investment Officer and there is reason to believe this will happen over the next few years. Much of the speculation regarding Todd Combs over the past week has been unproductive. One can legitimately accuse Berkshire of having a very poor public relations department which is obviously due to not having a public relations department at all. Any other large corporation making an announcement of this magnitude would have orchestrated the process. Mr. Combs would have been made available for interviews. At least one usable picture would have been made available to the media. Berkshire may get an “F” when it comes to public relations, but longtime shareholders like it this way. Many who should know better are engaged in hand wringing over Berkshire’s “under-performance” last week in light of the news and looking under every rock for “leaks” and “trial balloons” that could indicate a change in course for Berkshire’s succession due to investor and media reaction to the Combs appointments. Whether Berkshire gets an “A” when it comes to succession planning remains to be seen. We consider it far more likely than not that Mr. Buffett is not planning to entrust his reputation and billions of dollars earmarked to charity on a haphazard and irresponsible process. Disclosure: The author of this article owns shares of Berkshire Hathaway.